At Í húsi blóma, we are passionate about our customers, and will go above and beyond to ensure your 100% satisfaction. We offer discounts for regular customers and seniors. 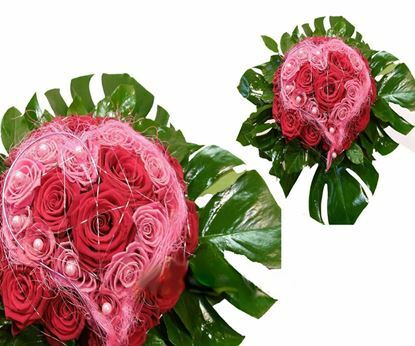 We strive everyday to offer our customers the lowest prices and the easiest flower ordering process and with that we can guarantee to our new and regular customers that our prices are the best available in Iceland for the quality flowers we send. By choosing us, we'll make sure your order will be handled with the greatest care and give you the service we think you deserve. 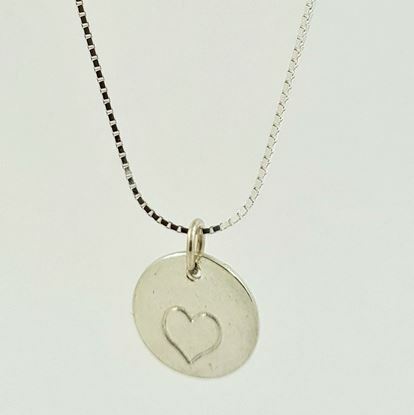 An Icelandic designed real silver jewelry- hand-made silver heart. 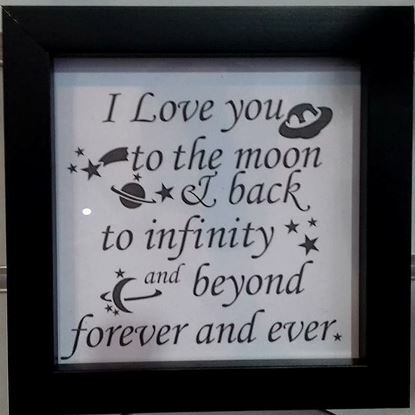 Beautiful quotes in picture frames- I love you to the moon and back Size of the frame is 12*12 cm. Color choice is white or black photo frame. 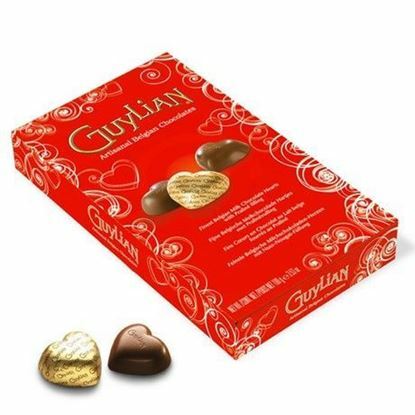 This item is beautifully wrapped in clear foil with ribbon. Boho style Wedding bouquet with purple and lilac flowers like levkoj flower, eustoma, statica , peach colored carnations, white cream roses, eucalypthus....and more. 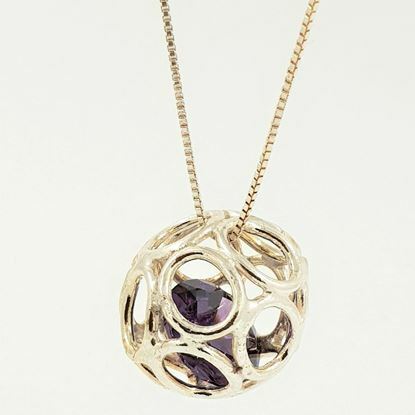 cca 50-55cm in diameter. Ribbon, pins. 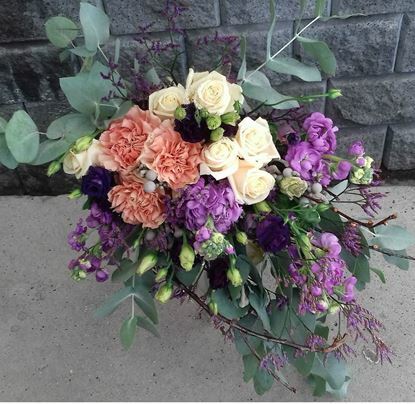 Boho style bouquet with roses, carnations, ruskus, eryngjum and eucalypthus. 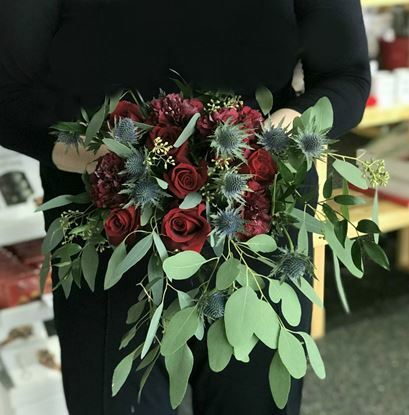 Boho style Wedding bouquet with red roses and dark red carnations, ruscus, eryngjum and eucalypthus. Ribbon, pins. Christmas branches flower arrangement with candle in beautiful silver grey vase. 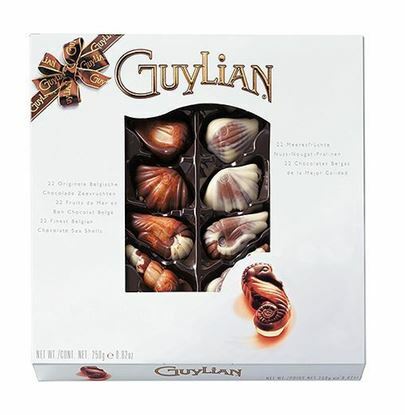 This Christmas, send your loved ones a holiday wishes with this beautiful Christmas centerpiece. Simple and elegant. A striking seasonal statement for the dining table. 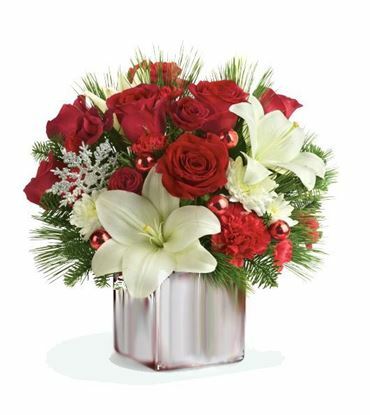 Christmas flower arrangement with red roses and white lilies in ceramic vase. 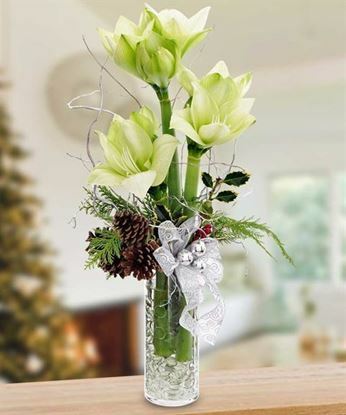 Beautiful Holiday´s centerpiece which will make any living area even more beautiful. size of the white ceramic container in size 12*12 or 15*15 cm. Christmas rustic holiday wreath with big ribbon for the door or wall. Beautiful Holiday´s centerpiece wreath which will make any living area or door even more beautiful. Beautiful basket of light pink & dark pink roses finished with greenery. Whether it's for a sweetheart or a friend, classic rose floral gift will make people smile. 3 sizes available. 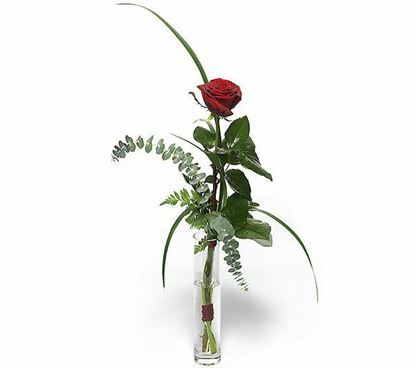 Icelandic roses are always so very popular for all kind of occasion and an absolute classic. 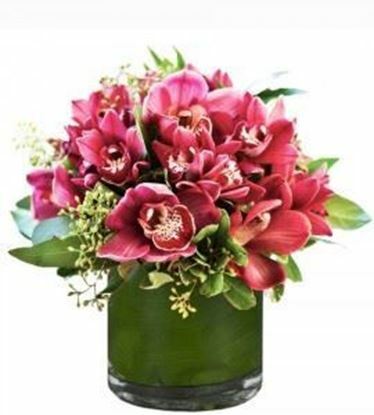 Beautiful flower arrangement with pink-red cymbidium orchid and more in a vase (included). Why settle for the same old flowers? Whether it's for a sweetheart or a friend, she's sure to love this modern floral cymbidium orchid arrangement lovingly arranged in a modern clear glass container. At the moment only available in clear square vase. 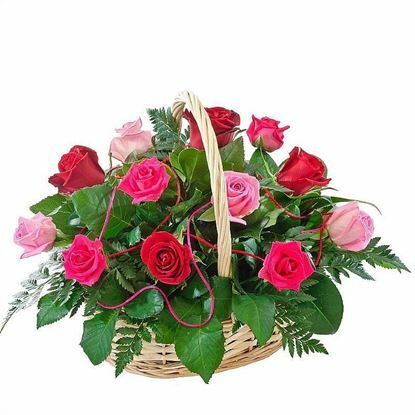 Icelandic red roses and matching greenery in willow basket for any occasion. 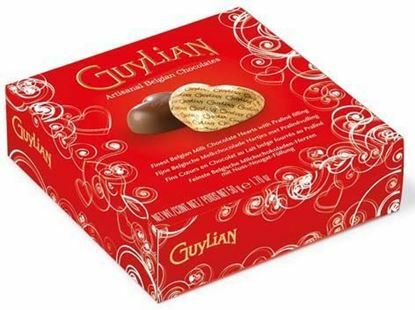 Express your affection! 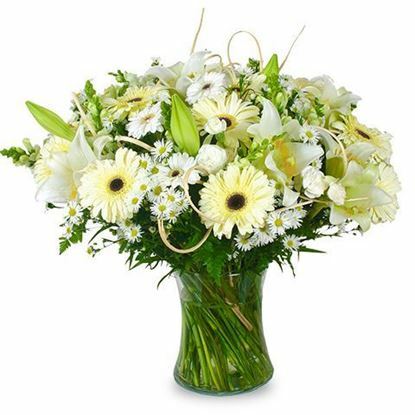 Surprise and excite the one you love with this breathtaking flower bouquet. 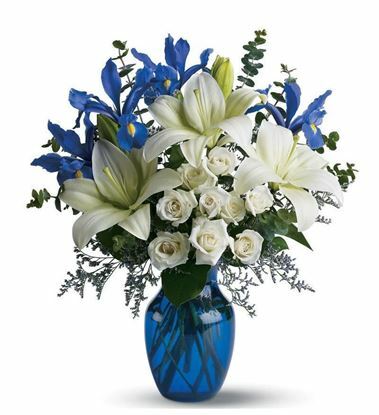 This unforgettable bouquet is almost guaranteed to leave her or him speechless. 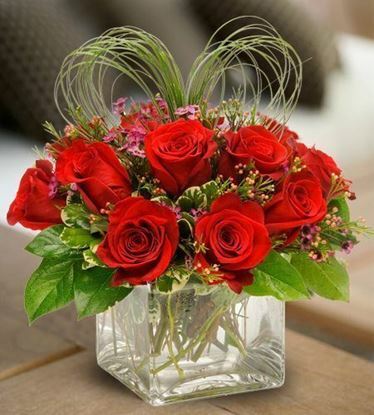 Roses delivery says ‘I love you’ more eloquently than any words can. Different sizes of roses and greenery are mixed . 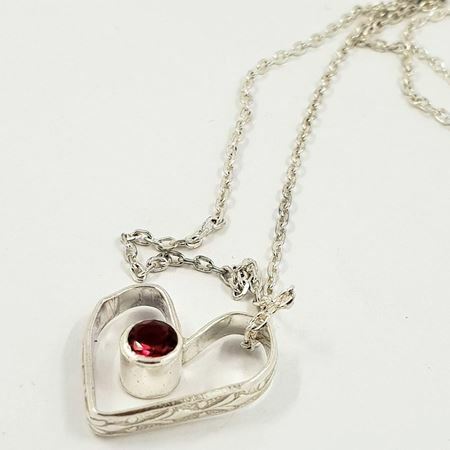 The perfect gift for "her" or "him", anniversary, Valentine, Day of Women... or to say congratulations. The amaryllis is the festive flower par excellence. A stunning display of rich red or white festive Amaryllis flowers accompanied by festive decorative items and greenery. 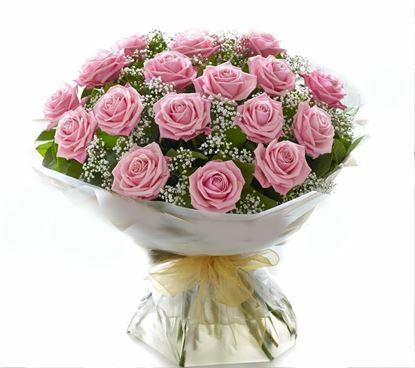 Classical and elegant bouquet with pink roses and baby´s breath. The beauty of roses is unchallenged. 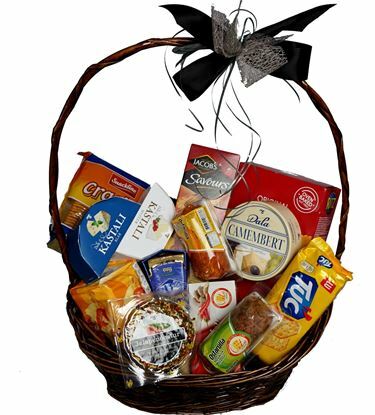 It makes them a favorite gift to offer congratulations for graduation, engagements, romance, bridal showers, new baby. 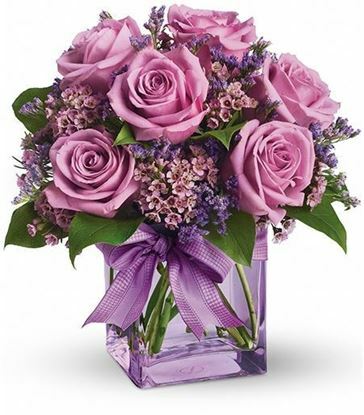 Show someone you care with this stunning composition of pink roses and baby breath. 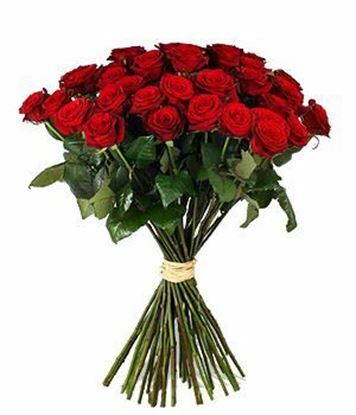 Length of roses is average 35-40 cm. 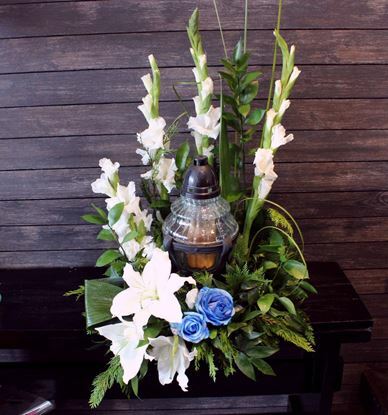 Farewell stunning tall urn decoration with gladiola, white roses and more. It’s never easy saying goodbye. 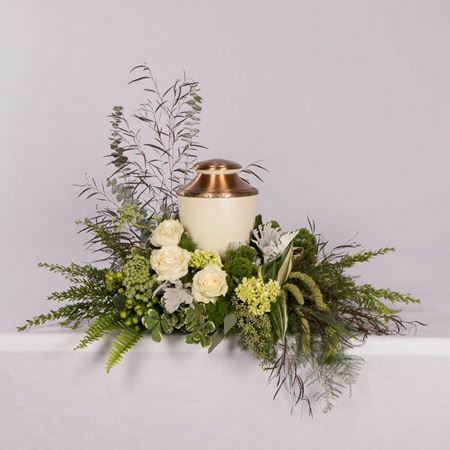 Make the final farewell something truly special, in honor with this beautiful flower arrangement. H-cca 60 cm, W- cca 30 cm. The lamp is not included!! !